In this last part, I go on with modern reliable images of Chinese troops bearing shields from the Shang Dynasty Era up to the 19th century in order to demonstrate specifically the evolution of the Chinese shields. There are also a few examples of Korean and Japanese shields which are closely related to the Chinese ones, sometimes being almost identical with them. 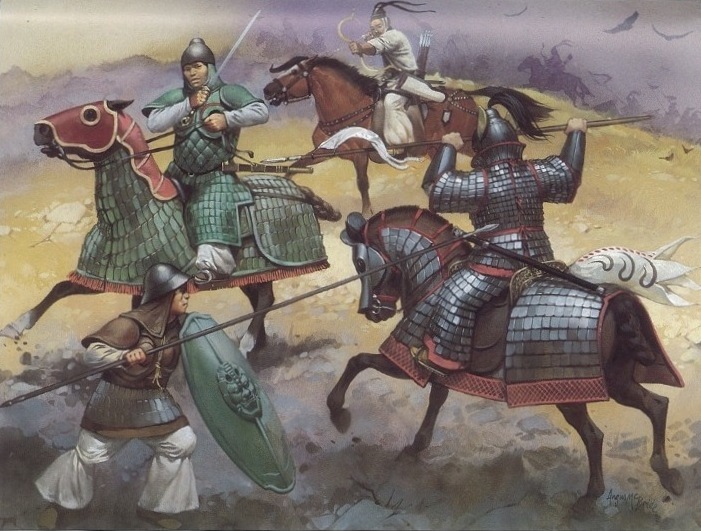 A clash between Tang Chinese (on the left) and Koreans (The Tang Army, Montvert publications). Note the shield of the Chinese infantryman on the left. 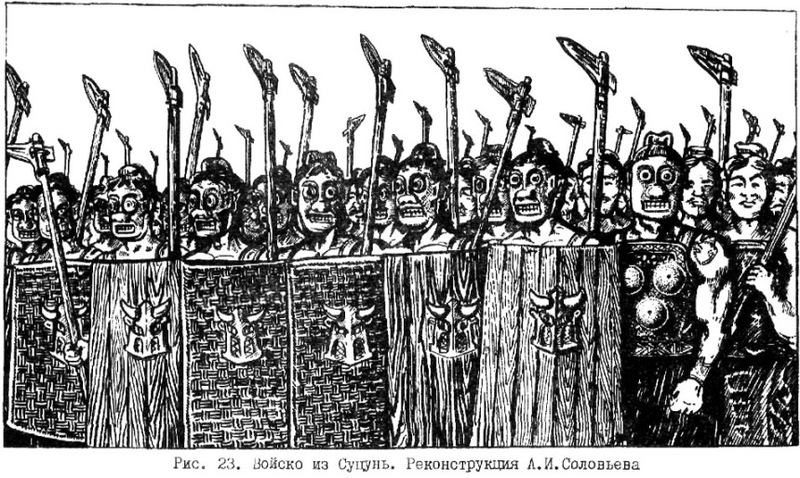 I go on with modern reliable images of Chinese troops bearing shields from the Shang Dynasty Era up to the 19th century in order to demonstrate specifically the evolution of the Chinese shields. There are also a few examples of Korean and Japanese shields which are closely related to the Chinese ones, sometimes being almost identical with them. 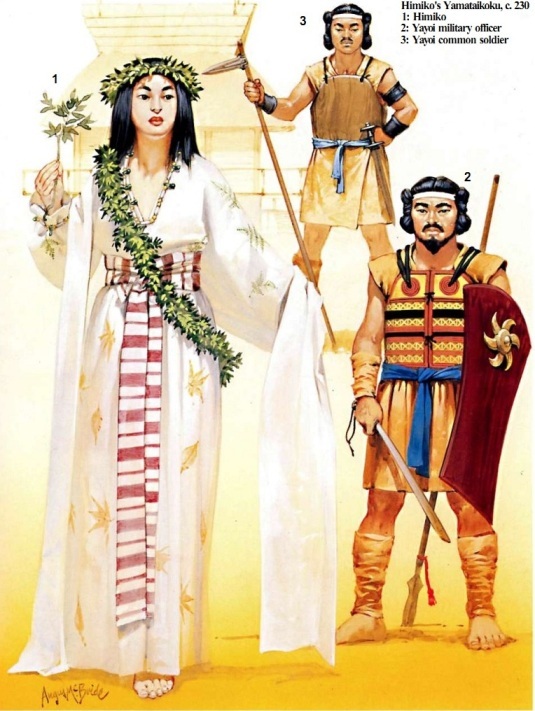 I chose to start with a Japanese example: Yayoi princess/queen Himiko with her guards, c.230 CE (Osprey publishing). Note the shield of the Yayoi warrior. The question of the limited presence of shields or evidence of them in the archaeological finds of China, Korea and Japan, and in the artistic depictions of any kind of the respective cultures is well known to the researchers of ancient and pre-modern warfare of these nations [actually the European historical terms “ancient”, “medieval” etc cannot be applied adequately to the Chinese-Korean-Japanese History but the Western historians have to use them for convenience].